With the first DC Extended Universe critical hit being Wonder Woman, female heroes are finally getting their chance to shine in comic book movies. Now, Captain Marvel is coming out in a matter of weeks and the DCEU is working on a team-up movie with Birds of Prey. However, it turns out that Birds of Prey wasn't the first option when looking at creating a female superhero team-up movie. At the Television Critics Association 2019 winter tour, X-Men producer Lauren Shuler Donner revealed she wanted to bring one to the world of the mutants. “I frankly wanted to see an X-Women movie,” Donner told Decider. “I didn’t get it through. But I think that would be cool." Donner went on to say that she wanted to put Professor X and Magneto on the shelf for the movie and have the new team led by Kitty Pryde or Illyana Rasputin. She added that there would be guys in the movie, but that the leadership and focus would be on the female characters. While Illyana makes almost no sense in the current incarnation of the movie world, having Kitty Pryde as the leader could have been amazing, with Ellen Page there to step into the lead role. Another great possibility would be Storm, who was a huge part of the original trilogy. 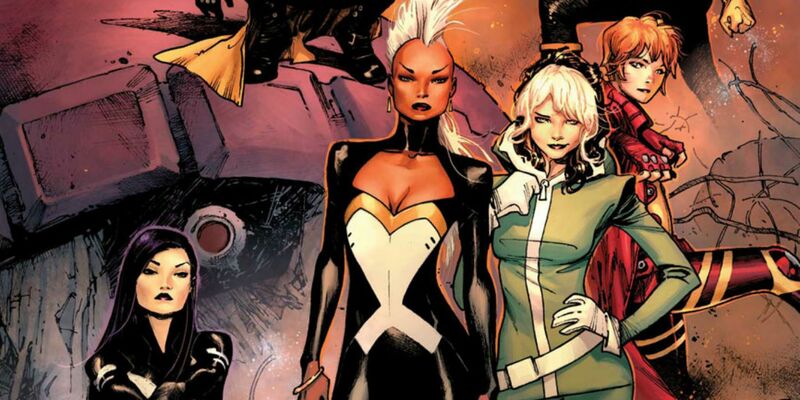 There was even a comic book example that showed up in 2013 when Storm, Kitty Pryde, Jubilee, Psylocke, Rogue and Rachel Grey formed the first all-women X-Men team in the comic book's 50-year history. Every one of those women, save Rachel Grey, have already been portrayed in the movie world. Donner also talked about how Fox believed that a female superhero would never work. The aftertaste of Elektra and Catwoman was still fresh, but those movies didn't fail because the heroes were female. They failed because the movies, according to most critics and fans, were not very good -- something even Halle Berry admitted after the fact. Donner then pointed out movies like Tomb Raider, which wasn't based on a comic book but still made Lara Croft as close to a superhero as a movie can without introducing superhuman powers. She said Fox dismissed it and said it was just successful because of Angelina Jolie. On top of Captain Marvel, Birds of Prey and a second Wonder Woman movie, there is also a Black Widow movie in production, and Sony has always wanted to do a movie based on Black Cat and Silver Sable called Silver & Black. Now that the X-Men are with Disney, it is out of Donner's hands, though. She has one last task at hand for that world and that is producing the final season of Legion. The third and final season of Legion premieres on FX in June 2019. The series stars Dan Stevens, Rachel Keller, Jean Smart, Bill Irwin, Amber Midthunder, Jeremie Harris, Aubrey Plaza, Jemaine Clement, Hamish Linklater and Navid Negahban.